KitMonsters – Cassie Fox. The music makers’ guide to making music. Cassie Fox plays guitar in GUTTFULL, keyboard in Thee Faction, and bass in Doris (previously, in The Wimmins’ Institute). 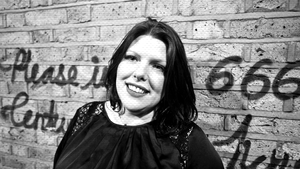 Cassie is the founder of LOUD WOMEN, a collective championing women in music through gigs and tours, an annual festival, a monthly ezine, and a record label. She is mum to two exuberant little boys (and two exhausted cats), and wife to Chris Fox (Thee Faction/The Charlemagnes). In her day job, she edits school books for educational publishers. She would rather be playing the Pyramid stage, though. GUTTFULL’s great 6-track ‘sax-punk’ EP #notallmen launches tonight with a performance at The Lexington, with Skinny Girl Diet, The Franklys and Fightmilk, and is available on Bandcamp. 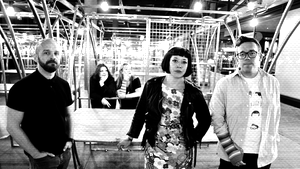 The band’s Cassie Fox writes about how they made the EP.